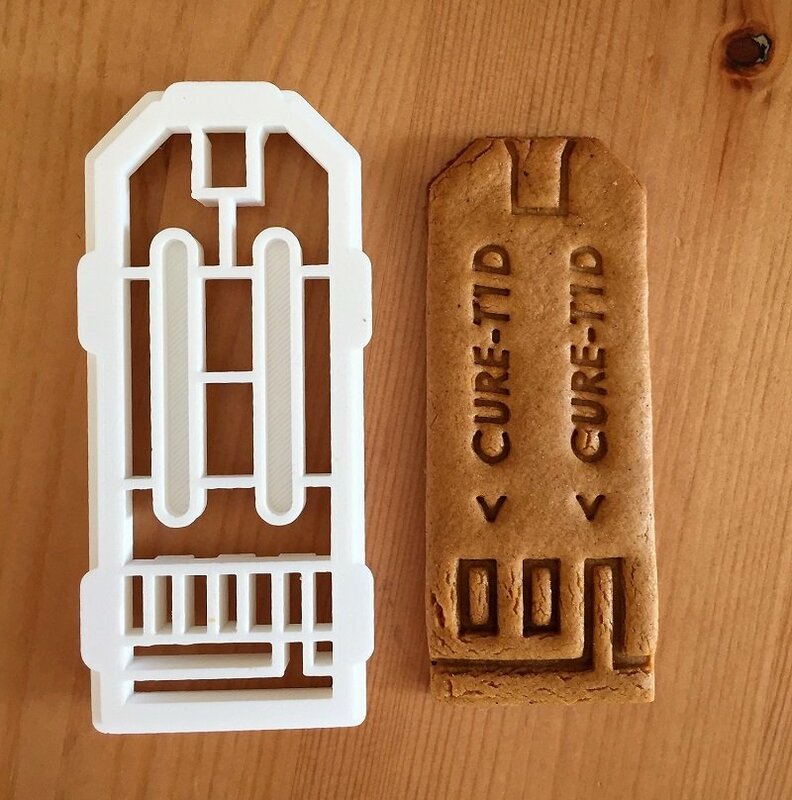 The Test Strip design incorporates “CURE-TD1” brand text with the insertion directional arrows and electrical contact trace detail. Design consist of our unique two-piece nesting cutter/stamping design that allows more control. Crafts cookies approximately 4.6" X 1.8" in size. Made from PLA plastic, Hand wash only.